Would you like to meet exciting single airmen and officers in the U.S. Air Force? Is your idea of the perfect mate an Air Force airman, Air Force Academy cadet, or an active duty officer or admirer of our brave men and women who work in the service of the U.S. Air Force? If so, our Air Force singles site is the place for you. 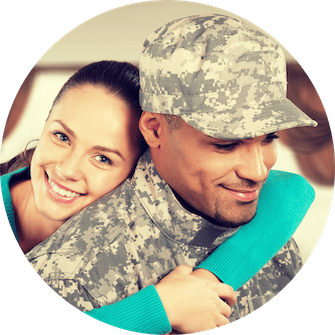 Our mobile friendly Air Force singles site is for active Air Force personnel and their admirers seek to meet other singles for dates, relationships, and much more. You'll communicate with Air Force men and women singles in your area, so join now. So how do you start meeting men and women in the U.S. Air Force? Simple. Get started by signing up for a free account. Signup is easy, and in just a few clicks you'll have access to our huge database of Air Force guys and girls. Start off utilizing your free account by posting photos to your profile and conduct searches locally or worldwide. Our site features members who work for or admire our U.S. Air Force enlisted personnel and officers employed in all U.S. states and around the world. So, no matter where you're living, you'll find a single U.S. Air Force man or woman close by.